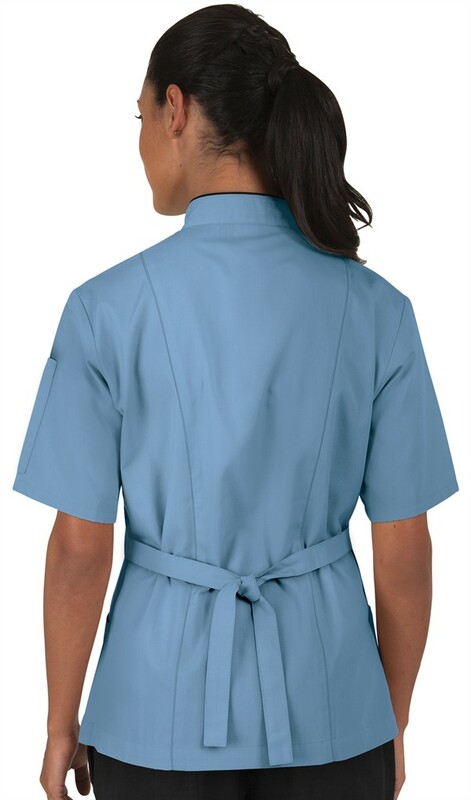 Women's tailored fit short sleeve chef coat has a more tailored cut with adjustable back ties for fit. 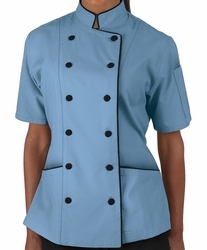 Made with 65/35 poly/cotton fine line twill, these coats are light and comfy in the kitchen. Two front pockets carry your belongings while the double pocket on the left sleeve holds your thermometer or pens. High quality fabric covered buttons complete this look. It also has reversible closure. 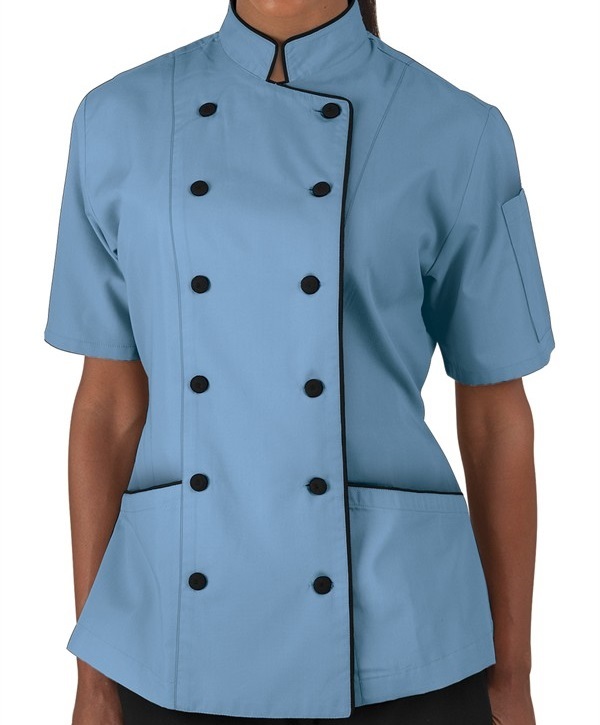 Look and feel great in the kitchen, Lady Chef! Customization makes it personal BUT Embroidery Jobs alone require additional 12-14 days before your order can ship. Do not use quotation marks, parentheses, number signs, exclamation points, or any other special characters in your text embroidery. Commas and periods are okay. 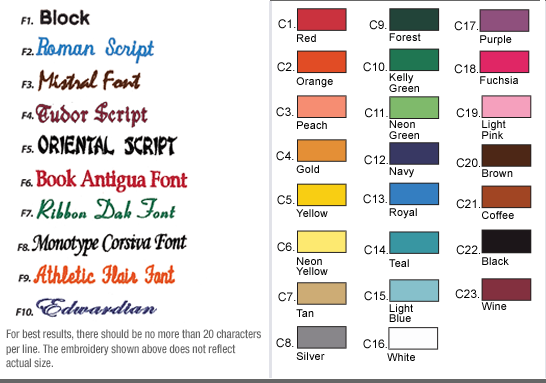 ALSO, if you're ordering embroidery and fail to choose either desired text style, thread color, or letter height, we will complete your order with our most popular selection for that option: Block Text Style, Black Thread Color except for black garments, in which case, white thread will be used. We'll embroider your name in the thread color and font of your choice. For best results, there should be no more than 18 characters per line. Embroidery position is from the vantage point of the person wearing the garment. Please check your embroidery carefully. Once the items have been embroidered they are not refundable. Please note: requests for monograms with profane or objectionable words or phrases will not be honored.